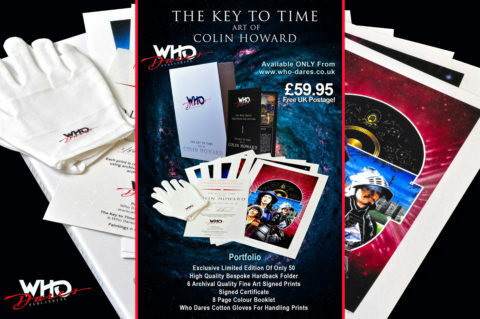 Who Dares Publishing is the legendary Doctor Who Artist Andrew Skilleter and Matthew Doe, one of the UK’s latest and leading Doctor Who memorabilia experts, an entrepreneur solely in the field of Doctor Who. 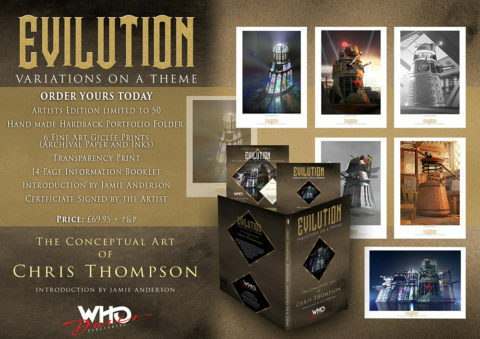 It was Matthew who had the inspired idea of bringing together their skill sets and relaunching Andrew’s legendary 1980s publishing company, Who Dares, beginning with the first ever Target Art Calendar featuring a selection of Andrew’s cover paintings. During 2017, Who Dares intends to launch a number of high quality art based projects of distinction. 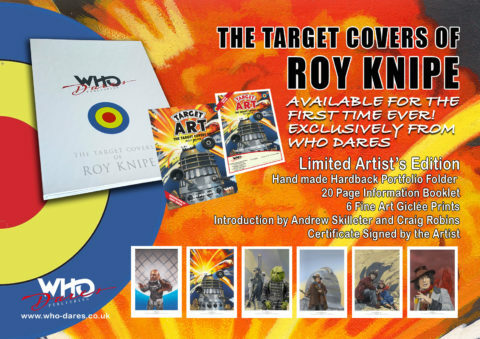 The first prints featured Omega from Arc of Infinity and the Cybermen from Earthshock. 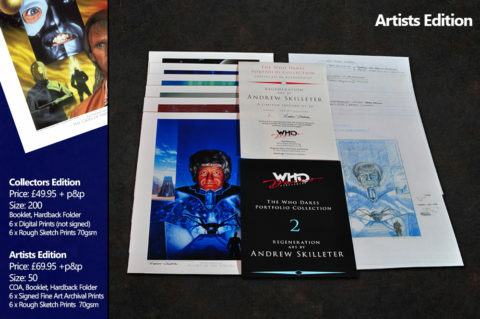 showcase for Andrew Skilleter’s work and sold 20,000 copies in the USA alone. Times Doctor Who illustrations by Frank Bellamy. Gerry Davis. It was later published by Virgin Publishing as a paperback.